Radiotherapy treats cancer by using high-energy x-rays to destroy cancer cells, while doing as little harm as possible to normal cells. 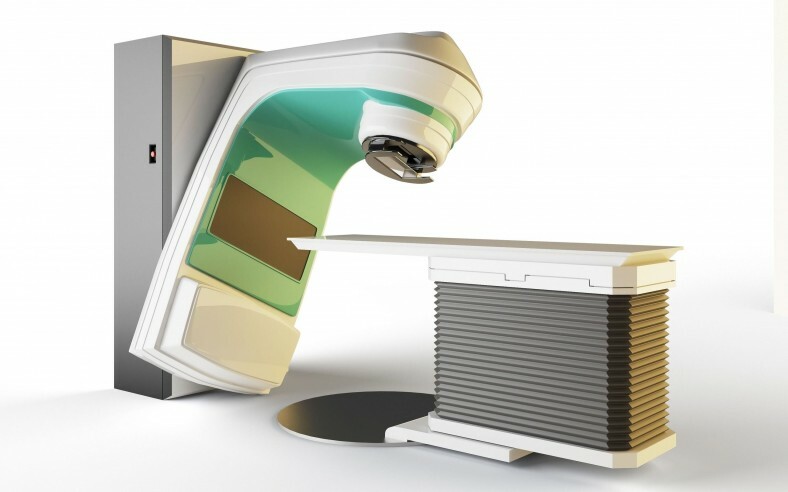 Radiotherapy is usually given in combination with a short course of chemotherapy (chemo-radiation) to prime the cancer cells and make them more sensitive to damage by the radiation. It is used less often than surgery or chemotherapy in the treatment of pancreatic cancer. before surgery to try to shrink the cancer and make it easier to remove (neo-adjuvant). after surgery to try to reduce the chance of the cancer coming back (adjuvant). Both neo-adjuvant and adjuvant radiotherapy for cancer of the pancreas are still experimental treatments. to help to relieve symptoms such as pain, particularly if a bone is involved. The side effects of radiotherapy are related to the unwanted damage sustained by surrounding tissue. To minimise these unwanted effects, the total dose of radiation is split into up to 20 fractions given, for example, every weekday for 4 weeks. The dose of radiotherapy used to relieve symptoms such as bone pain is usually lower so you may have a shorter course of treatment and less chance of side effects. All radiotherapy is targeted towards the tumour, but using complex computer models the focus of this targeting can be improved (stereotactic radiotherapy), allowing a higher dose to be administered with the same side effects in shorter time. “Cyberknife” is an example of this form of therapy. Whilst there are potential advantages from shorter treatment courses and perhaps fewer side effects, there is no evidence as yet that it is more effective than standard treatments.